Approximately 1 in 4 girls and 1 in 6 boys below the age of 18 are victims of child sexual abuse (CSA) according to the Centers for Disease Control and Prevention. A wealth of peer-reviewed literature has investigated interventions for child victims and adult survivors of CSA; however, there has been a lack of focus on the therapeutic needs of nonoffending parents and caregivers (NOPC) of child victims. In the wake of their children’s sexual abuse, NOPC are at risk of a host of mental health disorders, and researchers estimate their symptomology continues for two years following the disclosure or discovery. 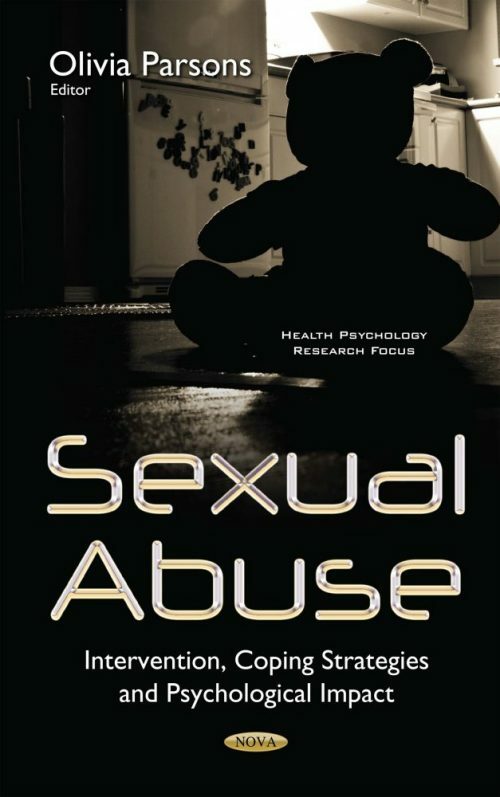 Sexual Abuse: Intervention, Coping Strategies and Psychological Impact begins with a framework for group counseling for NOPC, and discusses alternative and parallel interventions for NOPC while providing recommendations for future research. Chapter Two continues on to provides an overview of CSA and intervention in India. Chapter Three focuses on two historically persecuted groups, Orthodox Jews and Muslims, and the religious values that may enhance culturally competent interviewing skills in child sexual abuse interviews. Chapter Four presents potential cognitive mediators associated with the psychological impact of childhood sexual abuse by reviewing past and current literature on the effects of this type of abuse. Chapter Five addresses the gap in current knowledge and understanding of male sexual abuse.